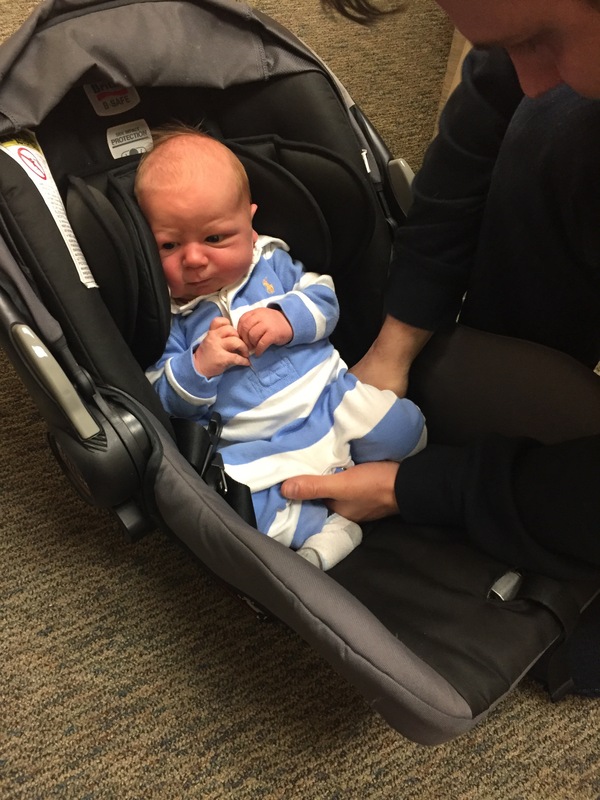 Today we took Henry to the doctor for his first post-hospital visit. Henry was such a good little man. He was well behaved and lovely and adorable. 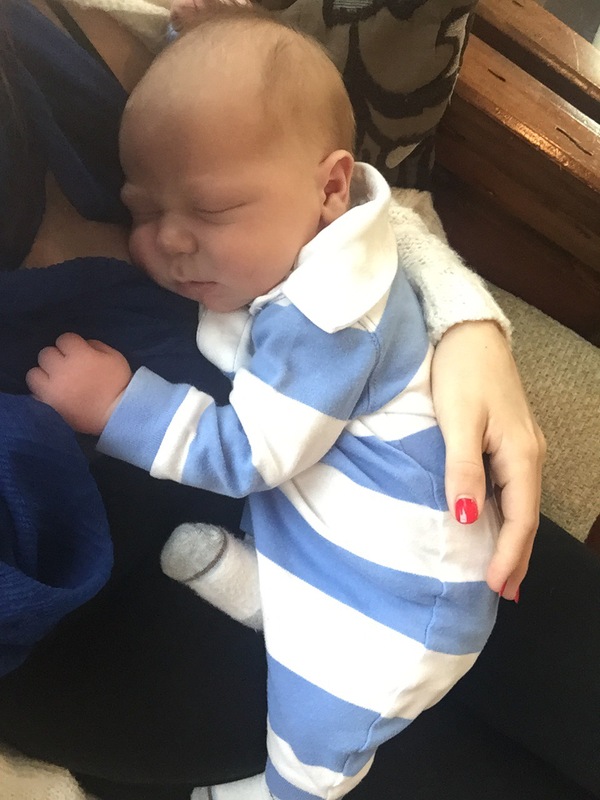 Our little Mr. Moo is already back to his birth weight of 10 lbs 5 ounces… can you believe it? 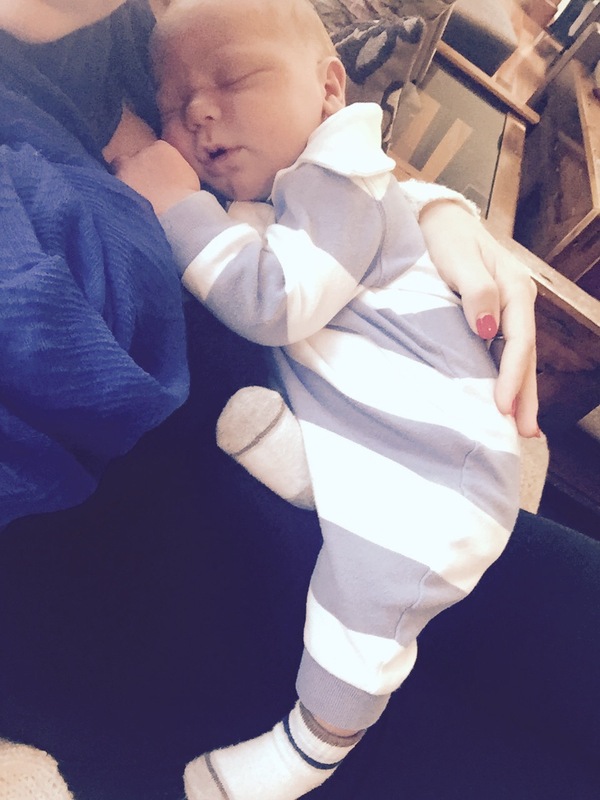 They said this is particularly impressive, as big babies tend to lose a bit more… but not our Henry! His non-stop milk snacks have really done well for him these past few days. Other than that, it was business as usual… nothing too huge to report. Henry’s stats are literally off the charts! 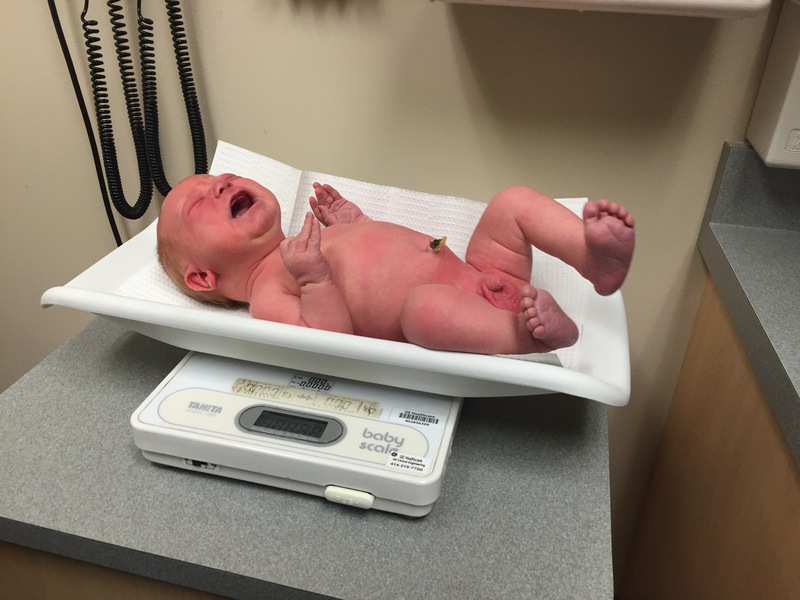 He’s over 100th percentile for height (22.25″) and head circumference and is 98th for weight. 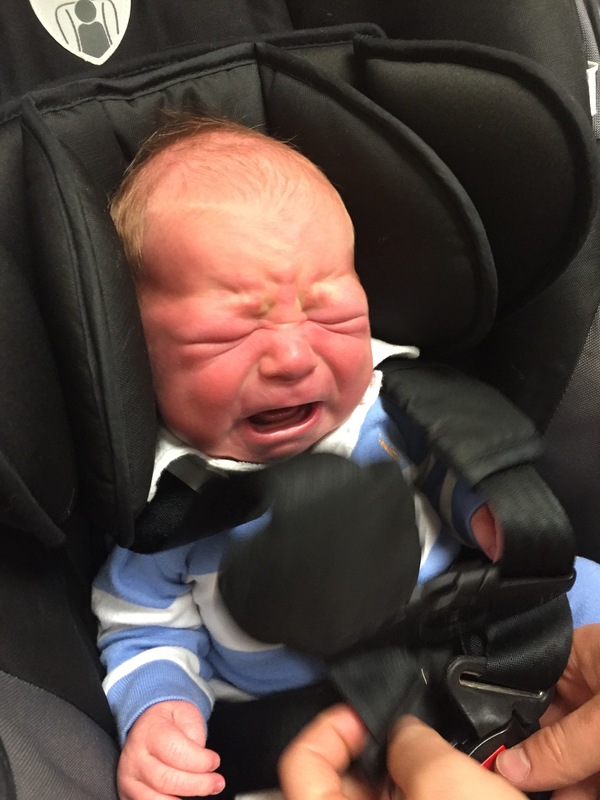 This entry was posted in New Baby, Second Baby and tagged first doctor's visit, New Baby, Second Baby. Bookmark the permalink. Ahhh sooo cute! He’s precious. 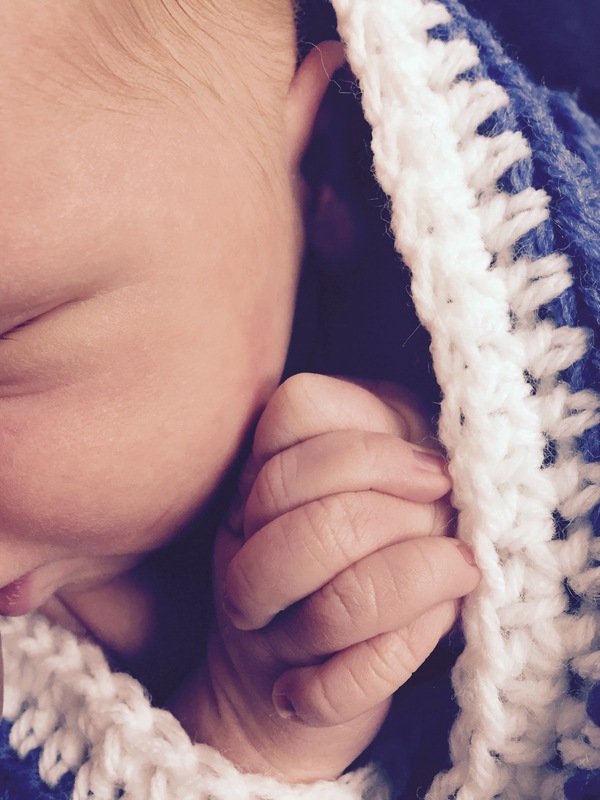 I love the little fingers photo.